She has incorporated the colours of the Aboriginal flag throughout the work. Born in Brisbane, Williamson has been painting for over 20 years. She was an Archibald finalist in 2002 and 2003 with portraits of Jenny Morris and Rachel Ward, both of which won the Packing Room Prize. The portrait of Morris also won the People’s Choice award in Sydney and Melbourne. 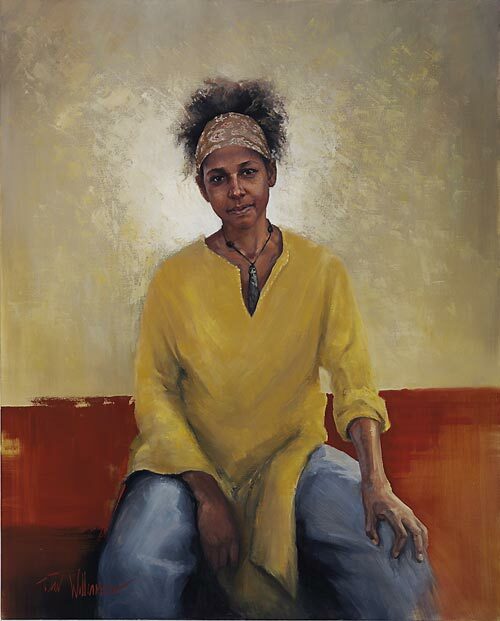 She has also had work in the Salon des Refuses in 2004 and 2005, the Portia Geach Memorial Award in 2005 and the 2000 Sporting Portrait Prize at the Art Gallery of NSW.